Merryl Alber is a marine biologist and professor in the Department of Marine Sciences at the University of Georgia. 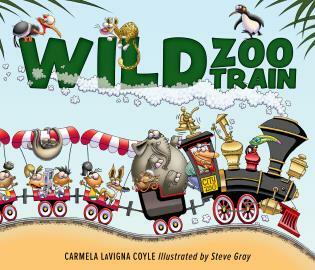 This colorful picture book combines facts and fiction. A girl visits coastal Georgia, where her cousin takes her out to explore the nearby marsh and observe the wildlife there while she explains the complex ecosystem. On a typical double-page spread, a large painterly picture illustrates the story on one page, while the opposite page presents the narrative text and an illustrated paragraph of related information. The colorful artwork is at its best in landscape scenes and close-ups of animals. The book concludes with a map indicating the abundance of salt marshes in coastal areas worldwide. The pages with text also feature questions, such as 'What have you seen floating in the water?' The narrative works pretty well as a vehicle for conveying information, and the accompanying paragraphs and illustrations are helpful in filling in gaps. 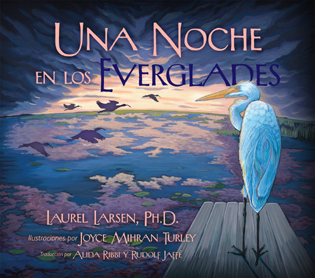 One of the few picture books on this fascinating and important topic. And the Tide Comes In. . . Exploring a Georgia Salt Marsh is a children's picturebook in which a young girl shows her visiting cousin the beautiful local salt marsh, and teaches her about its ecological complexity, including the twice-daily tides that submerge it! From the life cycles of shrimp and snails, to roaming raccoons and skittering crabs, the salt marsh is shared by a wide variety of amazing and busy animals! The story is told in the style of a friendly narrative, supplemented with fact-filled sidebars. "All salt marshes are covered by salty water brought in from the ocean during high tide, and exposed to the air during low tide. Although the particular plants and animals found in marshes do differ from one area to another, they are all shared by land and marine animals, and they're all covered by grasses that can withstand getting flooded by salt water." Wonderful color illustrations enhance this enjoyable and educational treasury, highly recommended especially for public library children's collections. 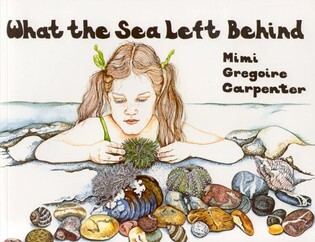 This educational book is a hybrid, using fictional characters to teach readers about the unique ecosystem found in a salt marsh. A young girl living in coastal Georgia is thrilled to take her visiting cousin on a tour of the marsh near her home and show her all the wonderful things that happen there. Textboxes elaborate on the girls’ expedition: why marshes are muddy but beaches are sandy, why there are high and low tides, where the crabs go when the tide comes in, why marsh-dwelling nocturnal animals will come out in the daytime, and more. 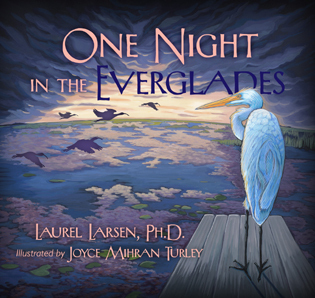 Turley’s colorful illustrations help readers better visualize the girls’ marsh experiences. Recommended for ages 8 to 11.
. . . this will be a phenomenal teaching tool!!! The layout of the heartwarming story combined with the scientific inserts is brilliant. This unique feature leads me to think that both teachers/parents and students could easily continue to reference it over and over. I love this book- and am ready for an adventure in the marsh! I am very excited about the publication of . . . And the Tide Comes In… The St. Simon's Land Trust views [this] book as an excellent resource. . . . 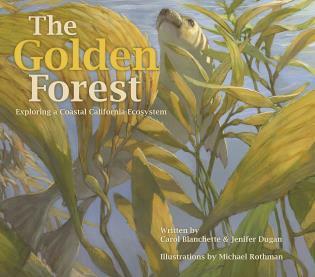 Thank you for the wonderful translation of saltmarsh ecology throughout this book, for your literary gift to the children of coastal Georgia and other coastal communities. 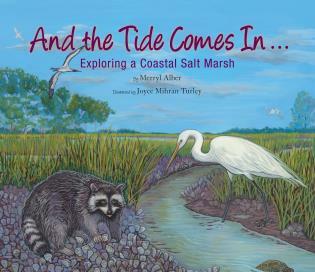 This book is a narrative told from the point of view of a young girl who is showing her visiting cousin a Georgia coastal salt marsh. The children visit the marsh every day for four days, slowly building their knowledge of the ecosystem. As they make their way through the tall marsh grass, the two children slip and slide on marsh mud, discover clusters of ribbed mussels at the base of the grass, and watch as fiddler crabs skitter from burrow to burrow around the edge of a creek. 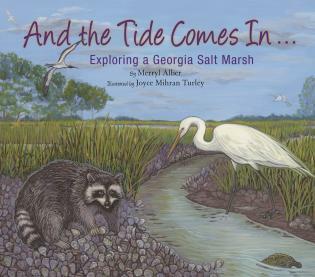 Representative of intertidal marshes throughout the world, the Georgia coastal salt marsh described in this book is typically shared by both land and marine mammals, presenting a unique ecosystem at the water's edge.